Tour Nigeria! connects tourists to amazing attractions and cultural experiences across Nigeria that are typically missing from Google searches and TripAdvisor. Nigeria has a wealth of great tourist attractions that remain largely unvisited due to a lack of presence across modern channels like the web. As a result, the nation loses millions of dollars yearly as Nigerians prefer to visit more publicized attractions in other countries. The Tour Nigeria! application is an innovative, engaging mobile app for visitors to engage in attractions all across our great country. With a calendar of events, interactive maps, and rich descriptions, users can plan the ultimate Nigerian holiday and then share their experiences with other users. 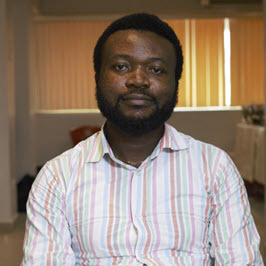 Kayode was inspired to launch Tour Nigeria! after his cousins abroad asked him for ways to explore Nigerian destinations online. Kayode discovered that there were few resources online that contained rich information and showed what Nigeria truly had to offer.